The field of zoology has grown immensely in the last century, integrating new techniques and skills and diverging into new subfields. 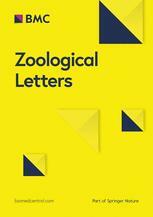 Zoological Letters is a home for classical zoology, integrating modern fields of basic zoology, from taxonomy to bioinformatics. We also welcome papers on palaeontology as we strive to develop new perspectives in evolutionary zoology. We are supported by the esteemed Zoological Society of Japan, and welcome all international submissions.